William Shakespeare might have given Marcus Junius Brutus all the credit, but Caesar's true betrayer was a much closer friend. On March 15, 44 B.C. 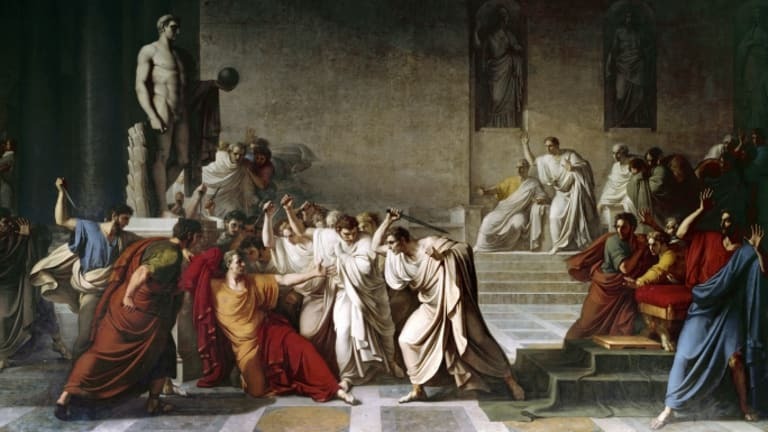 a group of Roman senators murdered Julius Caesar as he sat on the podium at a senate meeting. The dictator fell bleeding to his death from 23 stab wounds before the horrified eyes of the rest of the house. It was a little after noon on the Ides of March, as the Romans called the mid-day of the month. The spectators didn’t know it yet but they were witnessing the last hours of the Roman Republic. But who was to blame? As readers of William Shakespeare know, a dying Caesar turned to one of the assassins and condemned him with his last breath. It was Caesar’s friend, Marcus Junius Brutus. 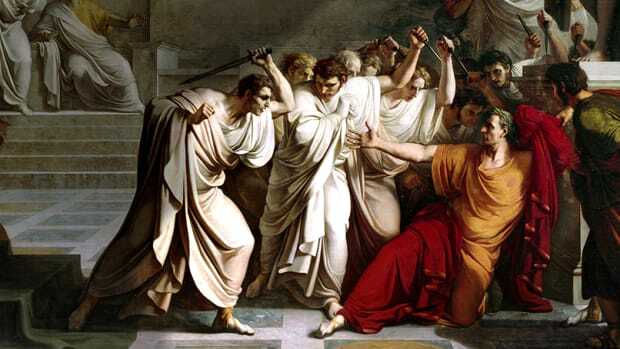 “Et tu, Brute?” – “You too, Brutus?” is what Shakespeare has Caesar say in the Tragedy of Julius Caesar. Except, Caesar never said these words. And Brutus was neither his closest friend nor his biggest betrayer, not by a long shot. The worst traitor was another man: Decimus Junius Brutus Albinus. Decimus was a distant cousin of Marcus Brutus. Because Shakespeare all but leaves him out of the story, Decimus is the forgotten assassin. In fact, he was essential. Shakespeare puts two men in charge of the plot to kill Caesar, Brutus and Gaius Cassius Longinus (he of the famous “lean and hungry look”). Shakespeare mentions Decimus but misspells his name as Decius and downplays his role. But often-overlooked ancient sources make clear that Decimus was a leader of the conspiracy. Decimus was closer to Caesar than either Brutus or Cassius was. In fact, they opposed Caesar during his bloody rise to power in a civil war. Only when he started winning the war did they defect to his cause. 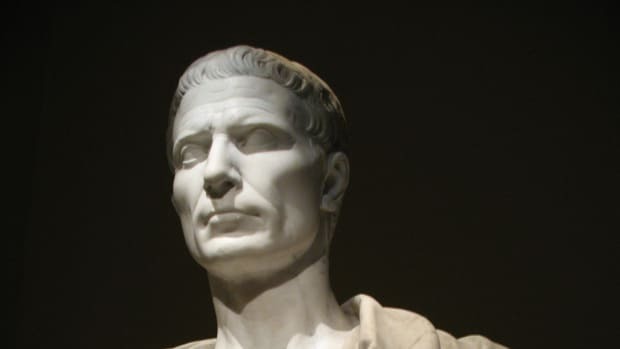 Caesar pardoned Brutus and Cassius and rewarded them with political office but he didn’t trust them. Decimus was different. He always fought for Caesar, never against him, and so he held a place in Caesar’s inner circle. Decimus belonged to the Roman nobility, the narrow elite that ruled both Rome and an empire of tens of millions of people. His grandfather extended Rome’s rule to the Atlantic, in Spain. But Decimus’s father had a mediocre career and his mother dabbled in revolution. Then Caesar came along and offered Decimus the chance to restore his house’s name. Decimus was a soldier at heart, educated but rough and ambitious, as his surviving correspondence shows. “My soldiers have experienced my generosity and my courage,” Decimus wrote. “I waged war against the most warlike peoples, captured many strongholds and destroyed many places.” He did all that, he wrote, to impress his men, to serve the public, and to advance his reputation. Decimus warmed to Caesar, a great commander and a war hero to boot. In his mid-twenties Decimus joined Caesar’s forces that were fighting to add Gaul (roughly, France and Belgium) to Rome’s empire. Decimus won an important naval battle off Brittany and served with Caesar in the siege at Alesia (in today’s Burgundy) that sealed Rome’s victory in Gaul. Later, his enemies in the Roman senate tried to strip Caesar of power but he fought back. It was civil war and Decimus chose Caesar. Once again, Decimus won a victory at sea, this time on Gaul’s Mediterranean coast. A grateful Caesar named Decimus acting governor of Gaul while Caesar went off to challenge his enemies elsewhere. After more than four years of hard fighting, Caesar returned to Rome triumphant in 45 B.C., with Decimus at his side. Why, then, did Decimus raise a dagger against Caesar only nine months later? Many Romans feared the power that Caesar amassed. In theory Rome was a constitutional republic. 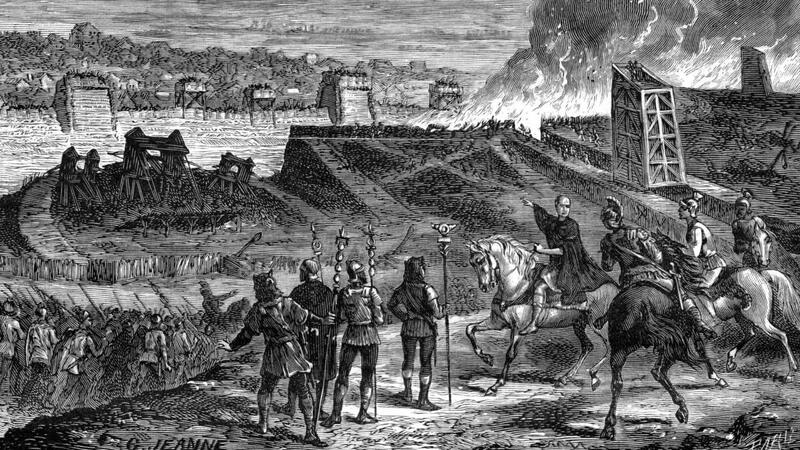 In practice, Rome teetered for decades on the brink of military dictatorship. 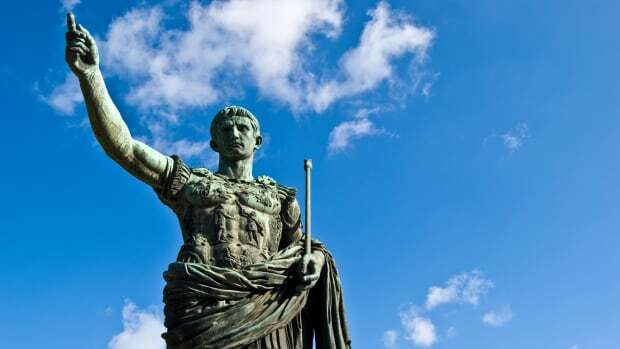 Now, Caesar was Rome’s first dictator for life—a king in all but name. He even took a queen as his mistress, Cleopatra of Egypt. In March 44 B.C. she lived in Caesar’s villa on the outskirts of Rome. Her young son was, she claimed, Caesar’s illegitimate child. All of this was too much for Roman traditionalists. But ambition rather than political principle turned Decimus against Caesar. Decimus’s letters suggest a man who cared more about honor than about liberty. He wanted the distinction of a triumph or formal victory parade in Rome, but Caesar denied it, although he granted the privilege to lesser generals. No doubt the dictator liked to dole out his favors slowly to keep his men on their toes. He rewarded Decimus in other ways, but the slight still smarted. Then there was the rise of Caesar’s young grandnephew, Gaius Octavius, only a teenager and no soldier but a gifted and cunning politician. Decimus could not have liked watching Octavius replace him in Caesar’s esteem. Another possible influence on Decimus was his wife, who came from a family that was opposed to Caesar. In winter 44 B.C. Cassius originated the conspiracy to kill Caesar. Like Decimus and Brutus, Cassius belonged to the nobility. He was a professional soldier, like Decimus, but also an intellectual like Brutus. A man of action, Cassius inspired Brutus to move. Brutus was no soldier but he was a philosopher and orator and much admired in Rome. Decimus joined the plot as well, as did more than 60 prominent Romans. As a past master at ambush, Cassius might have come up with the plan to surprise Caesar in the Senate. Decimus, however, made the wheels turn. Of all the conspirators only he had Caesar’s trust. Caesar even had Decimus at his side at a dinner party the night before his assassination. On the morning of the Ides Caesar suddenly decided not to go to the senate meeting, probably because of rumors of conspiracy. 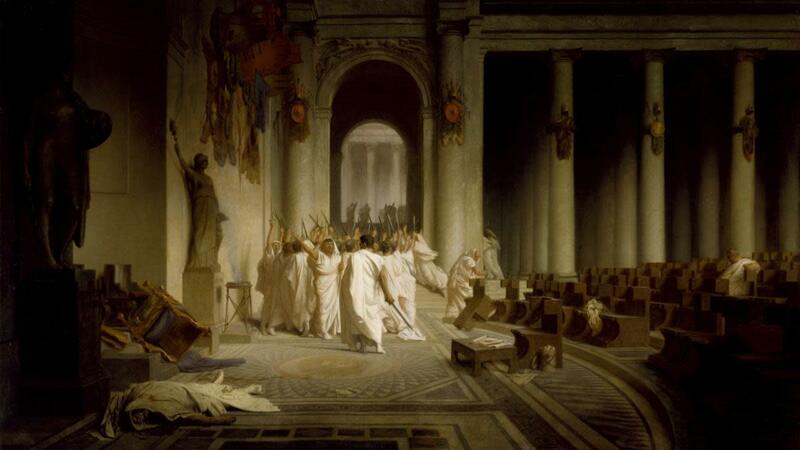 It’s not quite true that a soothsayer warned Caesar to “Beware the Ides of March!” as Shakespeare says. 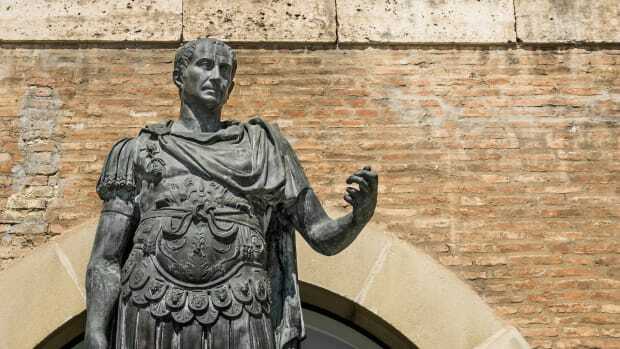 In fact, the soothsayer warned Caesar a month earlier to beware a 30-day period ending in the Ides of March, that is, the times from February 15 to March 15. But the Ides had finally come. When they heard about Caesar’s staying home, the plotters sent Decimus to Caesar’s house to talk him into attending the senate meeting after all. Decimus did his job. He changed the dictator’s mind and Caesar went to the meeting— where he was then murdered. 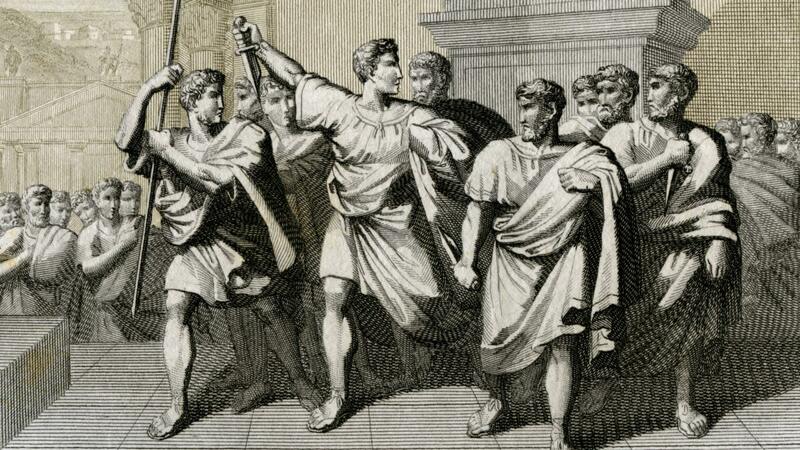 VIDEO: Julius Caesar: The Roman leader Julius Caesar was stabbed 23 times by a mob of mutinous senators in 44 B.C. Could he possibly have survived long enough to utter his famous last words? Afterwards Decimus provided security to the killers. He owned a troupe of gladiators who doubled as a private police force. They escorted the assassins to safety on the Capitoline Hill and guarded the perimeter during the tense days that followed. At first the Roman people supported the assassins as defenders of constitutional liberty but they changed their minds when they saw the strength of Caesar’s supporters. Decimus came in for particular criticism because his closeness to Caesar made his treachery seem all the worse. Decimus soon left Rome to lead an army in northern Italy and defend what he saw as the cause of the republic. Although he started out strong he was outfoxed by Octavius. Named as Caesar’s heir and adopted son in Caesar’s will, Octavius first allied with Decimus and then turned on him. A year and a half after the Ides of March, Decimus was abandoned by his soldiers, captured by his enemies and executed. A year later, Brutus and Cassius lost a battle and committed suicide. Octavius, by contrast, continued on his bloody rise to power, and eventually ended up as Rome’s first emperor. Eventually he went by the name of Augustus. Not so Decimus. Unlike Brutus, Decimus was no wordsmith, nor did he have admirers with a literary flair to tell his story. Yet his role does appear in certain lesser-known ancient accounts. Although Shakespeare made little use of them they survive today. And so the record allows us to recover the tale of Caesar’s forgotten assassin. Barry Strauss teaches history at Cornell University. He is author of The Death of Caesar: the Story of History’s Most Famous Assassination.